Did you love the Mighty Ducks as a child? Love playing hockey and meeting other knuckle (puck) heads? Social Boston Sports (SBS) gives you the opportunity to play street hockey at various locations throughout Boston, Cambridge and beyond. 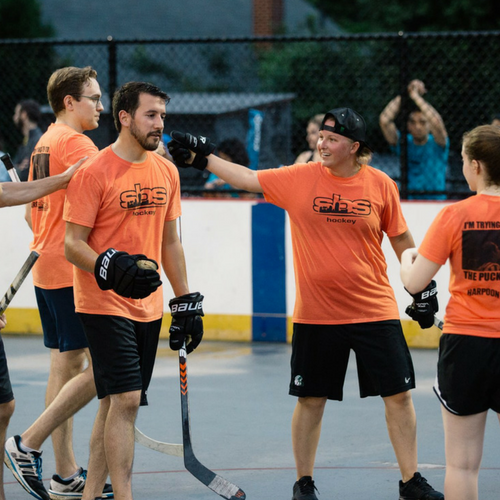 Join us in our coed Boston street hockey leagues throughout the week to slap the ball around and have some fun! Here at SBS, we put our name in the game. 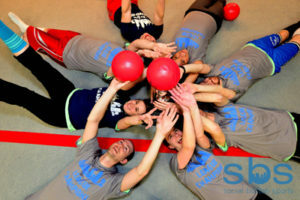 SBS seeks to provide our members with a fun and social atmosphere while playing their desired sport. We encourage you and your friends to come out, play street hockey in Boston, meet new people and HAVE FUN! Head over to the sponsor bar after the game for a post-game celebration and to continue the fun! Check back for more leagues coming soon! Minimum players for a full Street Hockey team is 13. If you do not meet this minimum your team will be merged with free agents.